The Wienermobile is a legendary vehicle, but I'm not quite sure it's the best track vehicle. Mazda Raceway Laguna Seca didn't care. 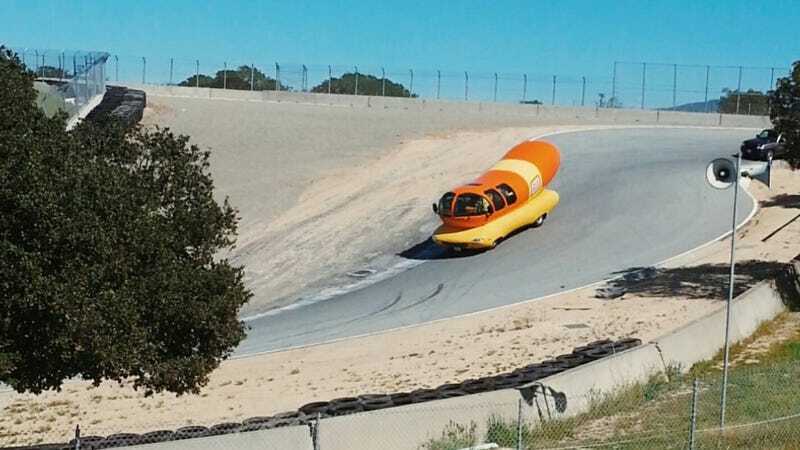 Here's the everyone's favorite rolling hot dog going down the Corkscrew. Laguna Seca posed this question as if there's any other answer than "OH MY GOSH PLEASE PUT THAT WIENER ON A RACE TRACK RIGHT NOW." There is no other answer, if you're curious. Enormous rolling wiener. On a race track. DO IT NOW.